Are you looking for a strong weight loss model to use with clients that eliminates all their excuses? Would you like to receive a refreshingly authoritarian and motivational approach to hypnotic scripts? Do you want to receive a range of fresh motivational techniques that help drive weight loss week after week? You will receive just that. 1. Use a strong and motivational approach to ensure your client is excuse free and loses weight. 2. Build and elevate your reputation as a weight loss Hypnotherapist who is renowned for results. 3. Receive an approach to developing hypnotic weight loss scripts that is tailored to your client. 4. Increase your weight loss enquiries and open up the door to developing your own weight loss products. 5. Utilise a wide range of motivational techniques to use with clients throughout your time with them. 6. Massively accelerate your profile locally as a practitioner that offers both hypnotic and motivational weight loss. 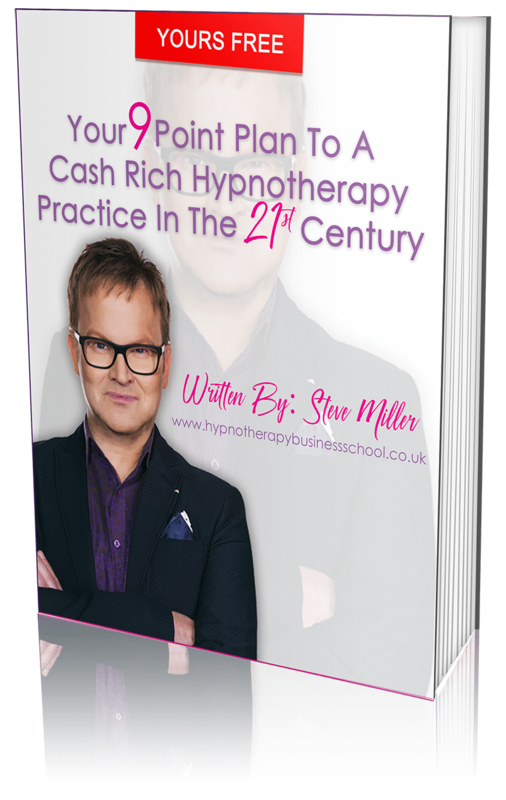 Steve Miller is the Founder and Pioneer of the Straight Talking Authoritarian & Motivational Hypnosis Programme. 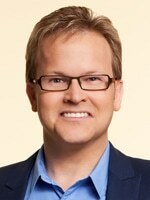 He is regularly featured by the media for his straight talking approach to weight loss and results. 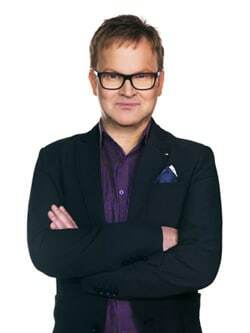 He is also a renowned TV presenter and has appeared on TV as a weight loss expert and Hypnotherapist. Some of his recent appearances included This Morning and Loose Women on ITV and The Doctors in the USA. He has also appeared on Sunrise in Australia and his TV show Fat Families was sold to twelve countries around the globe. Renowned for his straight talking approach to weight loss Steve has been acknowledged by many as the Number 1 Straight Talking Authoritarian and Motivational Weight Loss Hypnotherapist. In addition to his online and live Weight Loss Masterclass he also has a Licensed Programme for those looking for formal accreditation. Purchasers will receive each module approximately one week apart. Once a purchase is made no refunds will be permitted. 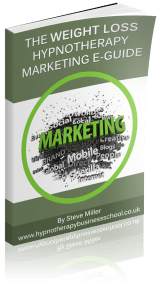 This programme is delivered and owned by The Hypnotherapy Business School. Purchasers expressly agree not to forward modules to third parties both during and after completion of this programme. The Hypnotherapy Business School accepts no responsibility for purchasers and users use of the material provided. Purchasers and users accept that material provided in this programme will only be used with appropriate and suitable clients. Purchasers and users agree to consult a clients medical practitioner before using material in this product where clients present with contra indications. The Hypnotherapy Business School accepts no responsibility for any technical issues experienced by purchasers and users of this product. Users of the content within this programme agree to be in receipt of personal liability insurance before using the content in this product. 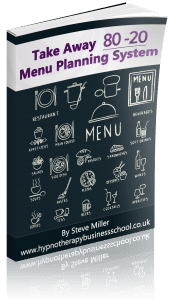 Purchasers and users accept that the six week meal plan within this product is an example only. Steve Miller reserves copyright on all material delivered within this product. Purchasers and users agree not to forward the material to third parties. You do not have the right to reprint, resell, or forward any content within modules of this programme to third parties. You also must not give away, sell, or share the content herein. No part of any module may be reproduced or transmitted in any form whatsoever, electronic or mechanical, including photocopying, recording, or by any informational storage or retrieval system without the express permission of the author. Modules may not be used for training others without the express permission of the author. 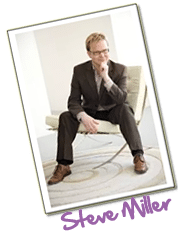 Steve set up his Hypnotherapy practice in 2002 and has been successful in helping thousands of people. He continues to be featured by the national newspapers including Daily Express, Daily Telegraph, Sunday Times, Daily Record, The Sun, Daily Mirror as well as a wide range of high street consumer magazines such as GQ, Zest, Closer, Cosmopolitan and Grazia. Tick here to receive my weekly emails, details of products and services and also receive your Bonus '9 Point Plan To A Cash Rich Hypnotherapy Practice In The 21st Century eGuide'. You can withdraw your consent at any time.